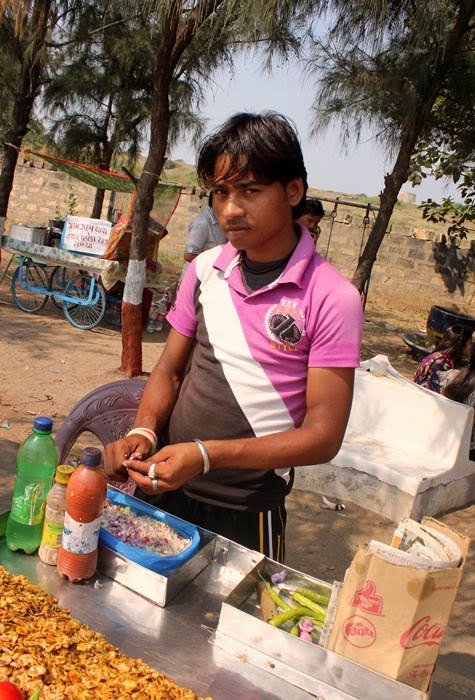 Street food differs from region to region and country to country, but there is some similarity in the different snacky mixtures available on the streets of India. It is a various of puffed rice, chola (cooked beans of different types depending on the region), maybe boondi, finely chopped tomatoes, onion, coriander and most important - spices! Most of the snacks are sweet and sour and a bit hot to taste. 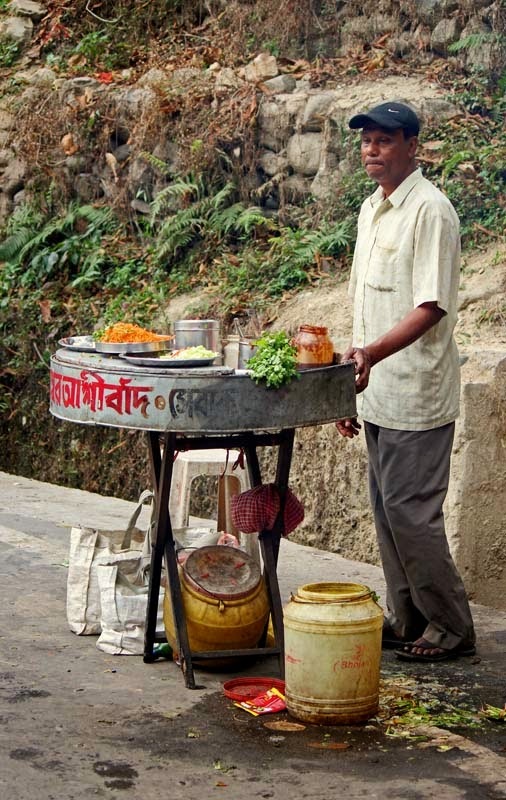 This vendor selling the mixture is from Bengal. 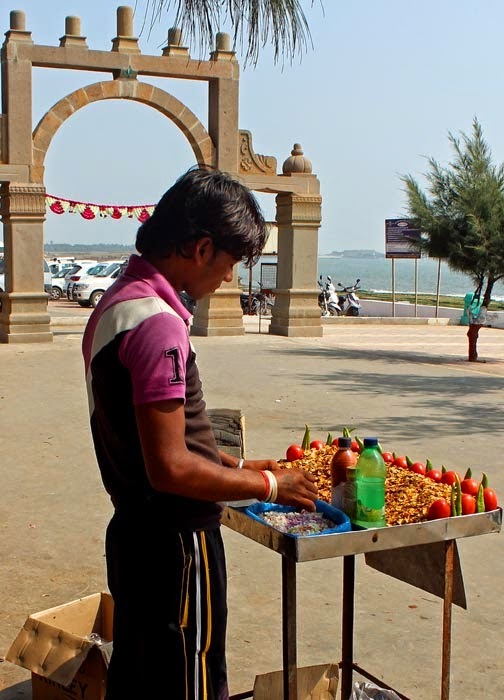 This street snack from Gujarat comprises of various spices and condiments and also a chivda or papdi mixture. The tomato sauce, green chillies and onion can add a lot of taste to the chivda flakes which are probably made of gram flour or besan. 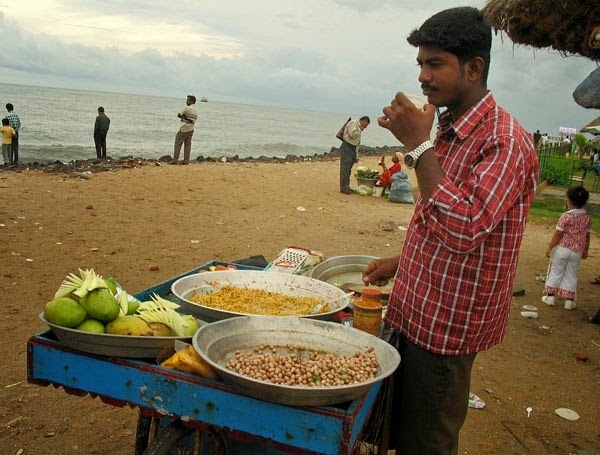 Here on a Puducherry beach there is some mixture which is mixed with grated raw mango and peanuts to make a tasty snack. And of course red chilly powder and other spices are used to make it tasty. You might also like Road-side food stalls or street food or check out all the photos filed under Food or Snacks.